It’s no surprise that more and more people are seeking out better beds to sleep on. This is because the amount of sleep the average person gets per night is rapidly decreasing, thus when they are sleeping; they want to have full and deeply relaxing sleep. 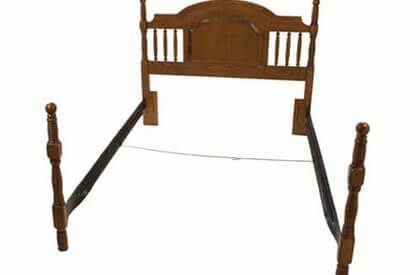 There are literally hundreds of various types of beds that “promise” to give you the best sleeping experience of your life, however many of these beds leave their users upset and still sleep deprived. Yet, there is one type of bed that has proven itself time and time again in the sleeping wars. 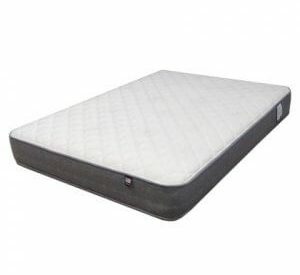 These types of beds are waterbeds, and they provide their users with a pressure-free temperature controlled sleeping surface since the 1960s. However, did you know that there are two main types of waterbeds? If you’re searching for a new waterbed, then you will be introduced to either a Hardside waterbed, or a Softside waterbed, but how are they different? If you want to understand the differences between these two waterbeds, then it’s as easy as simply reading their names. Hardside waterbeds was the first design to hit the market back in the early 70’s. It has a 4 board side frame that is usually constructed of a 2 x 10 anchored together in the corners with heavy duty corner brackets that rests on and is connected the decking. 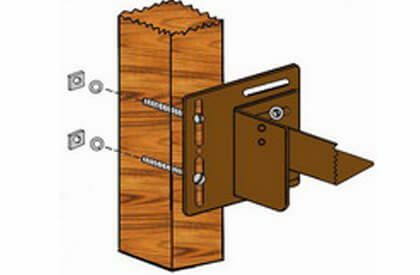 The deck or floor of the bed is made up of plywood or OSB, which supports the water mattress. This entire design is often called an extended sandbox frame, which is really what it is. The extensions as the name implies are a few inches long and the headboard rests on and connects to them. Often a drawer pedestal underneath the sandbox frame offers abundant storage. Pros- lots of bang for the buck and short of termites the frames are solid and built like a tank. Cons- The bed is harder to get in and out of and to make. They are not very customer friendly for the non-handy person when it comes to moving them and the time it takes to move them. Softside waterbeds on the other hand really seem to have it all. You may instantly think that the frame is going to be, well, soft. And if you think this, then you are right, because unlike the Hardside waterbed, the Softside waterbed does not use wood to give the sides of your bed support. Instead, this type of waterbed uses high quality foam edging often called a tub for sidewall support. 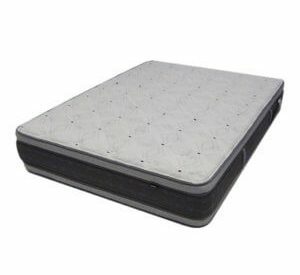 This type of design is quite modern, looking just like a mattress and box spring, yet at the same time making the process of getting in and out of a waterbed easy. Conventional sheet sizes and everyday headboards and footboards designed to fit mattress and box springs adapts to softsides with ease and are simple to make. These beds boast quicker setup, breakdown, and drain & fill times. This waterbed really does have it all and last but not least it keeps up with the 21rst Century by being politically correct, it’s more efficient too. Thanks for explaining the difference. I have been researching water beds because I want to give one a try. Hopefully it will help with my hip and back pain. I suppose that obese people who are seriously out of shape might find it difficult to get out of a conventional waterbed, but I’ve never found it to be a problem. Even when I had a broken leg, I had no trouble getting in and out of my conventional waterbed. For me, it would be a waste of money to have anything except a conventional waterbed with its simple full-flow mattress. I have had my free flow waterbed for over 17years and I wouldn’t trade it for anything. I like the waves. It helps lull me to sleep. Carol thanks for sharing. We love to hear stories like this. I slept on a free floater for 39 yrs. Switched to a craft matic for the last 10 yrs. I miss my water bed and am getting a soft side tomorrow !